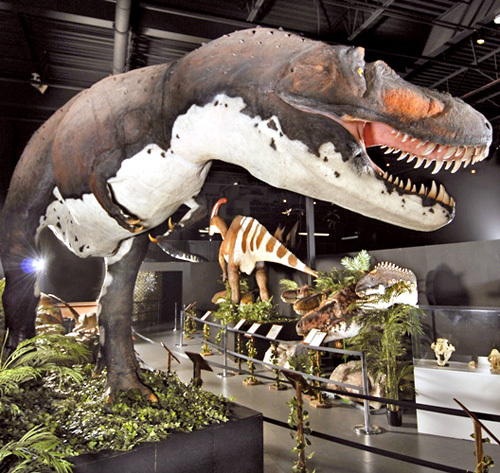 Created for guests of all ages to enjoy, the Branson Dinosaur Museum offers educational and interactive experiences with some of the most incredible dinosaurs in history. Guests can learn about each dinosaur’s habits, name origin and more, including the four-winged microrapter, the iconic Tyrannosaurus rex, and many others in the fossil exhibit and learning center. Over 50 life-sized dinosaur models. Next to the Worlds Largest Toy Museum and the Branson Military Museum. Located at former Waltzing Waters attraction. 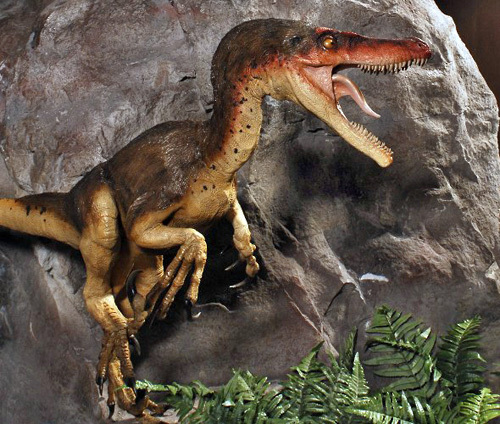 Over 50 life-sized dinosaurs are displayed, from the very smallest creature, a 1-foot Microraptor, to the towering 42-foot tyrannosaurus rex that stands about two stories high. The models were made by paleo-artists who fashioned molds from the original dinosaur skeletons and then created the bodies. All of the dinosaurs have descriptive details and visitors may take as long as they like on the self-guided tour. Pictures are encouraged. There is a learning center with video, a fossil exhibit, and gift shop as well. The Dinosaur Museum is located on Hwy 76 next to the World's Largest Toy Museum and across the street from Bigfoot Fun Park. The entire museum is a self-guided tour. Guests can learn about the different dinosaurs through the thorough descriptions about dinosaur habits, name definition, daily life, and more. Descriptions are posted at each dinosaur stop throughout the museum. Aside from dinosaurs, what else is available at the museum? 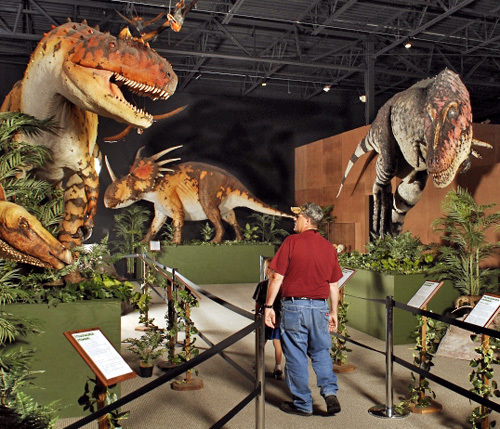 Dinosaur Museum guests enjoy a magnificent fossil exhibit, gift shop, and a learning center. 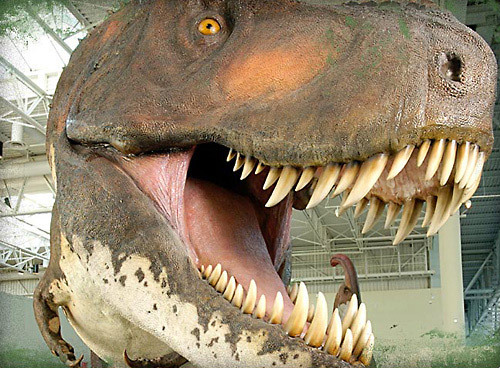 The Dinosaur Museum is open daily from 10:00am to 5:00pm. Where is the Dinosaur Museum located? We are located at 3619 W 76 Country Blvd, Branson, MO 65616.